Joe Biden's Pro-Segregation Past Resurfaces; Said It Was a Matter of "Black Pride"
Joe Biden, possible (likely?) 2020 presidential candidate, had his anti-busing policy record resurrected by the Washington Examiner on Thursday. Busing, in this sense, was the assigning and transporting of students to new schools in order to desegregate the American education system. “I think the concept of busing … that we are going to integrate people so that they all have the same access and they learn to grow up with one another and all the rest, is a rejection of the whole movement of black pride,” Biden said in an NPR interview the Examiner unearthed from the congressional archives. In the years since his 1975 stance against busing, he has said that he wanted an end to segregation but did not believe busing would work in achieving this end. The revelation that Biden, who has long framed himself as a champion of civil rights, has a questionable record on race is not a new one. A New York Times piece, published in the final months of the 2008 presidential campaign, notes that while Biden’s Senate record includes the expansion of voting rights and support of affirmative action, his actions in 1978 show his prioritization of votes over equality. In September, just as school was about to start, teachers went on strike over pay issues raised by the busing plan. Mr. Biden, who strongly believed in integration and equal education, was torn. White parents cursed him at public meetings. Nervous black civil rights leaders looked to him to find a way to integrate the schools without forcing inner-city students to travel miles into hostile suburban turf. Mr. Biden tried to salve both sides by introducing legislation to outlaw certain types of court-ordered busing while retaining the court’s power to end segregation when it had been deliberately imposed by school districts. His position put him in league with some Southern segregationists in the Senate and left him at odds with African-American leaders. And, surprise, surprise, when 1978 rolled around and both Brooke and Biden were up from re-election in their home states, pro-busing Brooke was ousted by disgruntled white voters and anti-busing Biden was re-elected. Throughout the 1970s and 1980s, Biden sponsored anti-busing legislation and even said he would support an anti-busing constitutional amendment. He supported an anti-busing amendment to a federal bill, proposed by the segregationist (aka racist) Sen. Jesse Helms of North Carolina, in September of 1975. The former vice president also threw his weight behind an anti-busing amendment by West Virginia’s Sen. Robert Byrd, a Democrat and former recruiter for the Ku Klux Klan who claimed to have left his racist past behind him. I have never, ever, ever voted for anything I thought was wrong…In the middle of the single most extensive busing order in all the United States history, in my state, I voted against an amendment, cast the deciding vote, to allow courts to keep busing as a remedy. Because there are some things that are worth losing over. 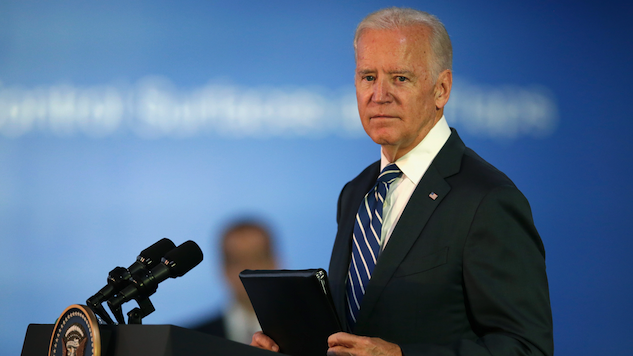 As it stands, Biden looks to be a front-runner if he joins the presidential race. The Quinnipiac University National Poll published in December 2018 shows that Biden leads in the pack in terms of favorability among Democratic candidates. Biden’s spokesperson did not respond to the Examiner’s requests for comment.